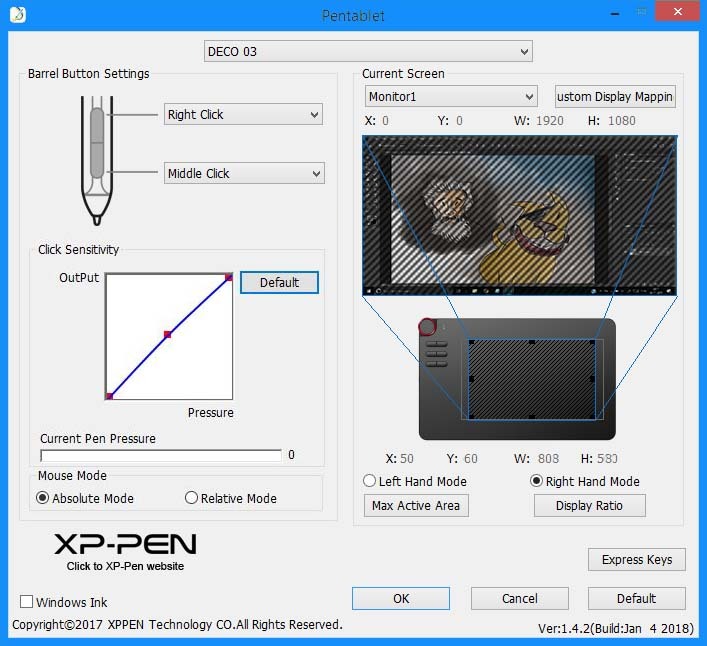 Xp Pen Deco 03 has been stirring up talks right from its launch. It is the prime contender to Wacom Intuos for being the best drawing tablet in the budget category. You get a lot more than what you pay for. It has some of the features which could only be found in tablets twice or three times its price. 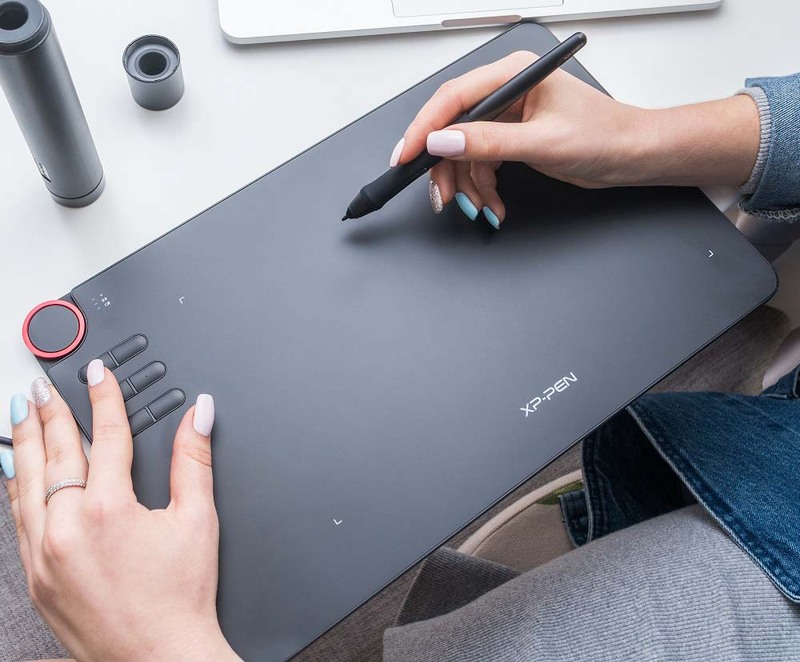 The big drawing area, wireless connectivity, fully customizable red dial with slim and modern form factor are some of its main highlights. 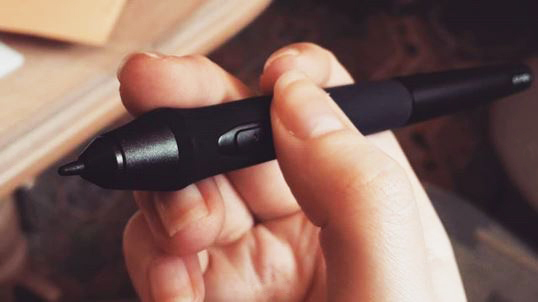 For a wider range of opinion – we have reached out to other artists in the industry to get their experience of using the Deco 03. 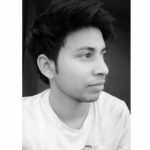 You will find short notes from “Kylie Halley” and “Korak González” within the post. The whole Deco lineup follows a very similar design with drawing area at the right and buttons on the left. This is a better design as the person drawing with the right hand will have his left-hand naturally rest at the left side near buttons. In prolonged uses, this simple design makes the tablet very comfortable to use. If you see other tablets like Deco 01 and Deco 02. You would notice that the buttons spread out and cover the whole left area from top to bottom. With Deco 03 all the buttons and dials are located at one corner. Which makes them easier to use and eliminates un-necessary hand movements. The tablet has a plastic construction and has the thickness of 8mm which is thinner than an iPhone. The plastic reduces its weight and makes it super convenient to carry around. On top of that, it has also got wireless connectivity to give you more mobility. There are three components which make up an ideal drawing tablet. Those are drawing area, texture and longevity. When we talk about drawing area Xp Pen Deco 03 gets the full score as it has one of the largest drawing areas. It has a total workable space of 10 x 5.62 inches. Next comes the surface texture. The aim of surface texture to mimic a paper as close as possible. The main advantage of texture is it gives you more control over your pen. Agreed! The surface texture does not affect the final outcome or quality of your artwork. Nor does it makes you a better artist, but still it is important in terms of feel and drawing experience. Nowadays almost all the tablets cheap or expensive comes with some kind of textured surface, but not all the textures are the same. The texture on Deco 03 near perfect. The drawing surface is neither too aggressive nor to smooth, it is just about right. It is still not as good as what we find on Wacom Intuos but you won’t feel the difference unless you compare them side by side. 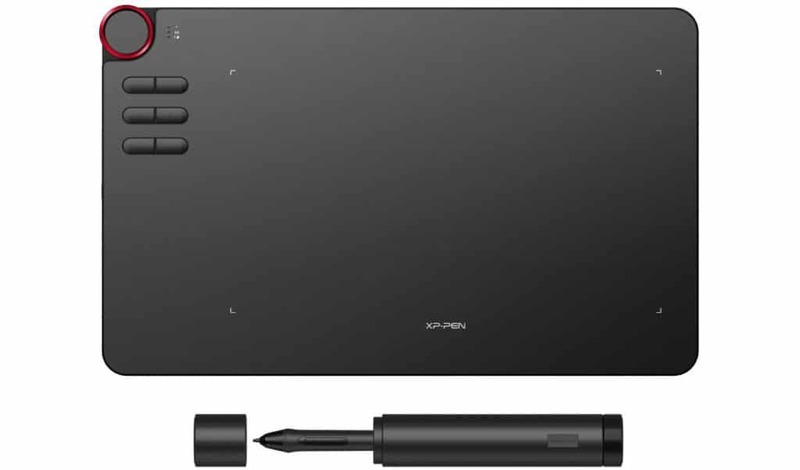 Check out Wacom Intuos vs Xp pen Deco series comparison. Use of quality material is the main factor which affects the longevity of the tablet. The drawing surface is the area which is constantly exposed to starches by the pen. When they are made of cheap materials they start getting scratched and gradually become unusable. Xp Pen has done a pretty good job of making the top surface scratch resistant. Even after months of use, the tablet stays in a good condition without any signs of wear and tear. A pen is the most important part of the tablet, it is as important as the tablet itself. No matter how good the tablet is a bad stylus can break your drawing experience. It is very important for a tablet to have a reliable pen for maximum productivity. 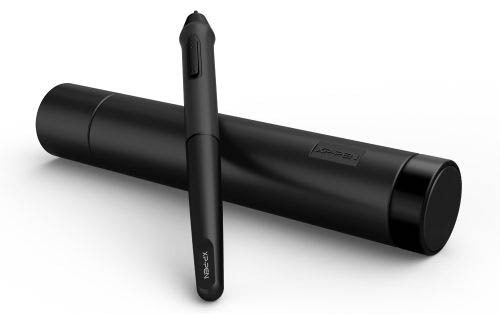 Xp Pen Deco 03 comes with a passive (batteryless) stylus which does not need to be charged. It is a well-balanced pen which has the perfect weight distribution and neither feels too light or heavy. Its ergonomic shape makes it comfortable to hold. The pen has a plastic construction. It comes with a rubber grip at the front, which feels soft and helps with a better grip. It has 8192 levels of pressure sensitivity along with two buttons at the sides. The buttons are clicky and give a nice feedback when pressed. Unlike the Deco 02 stylus, the side buttons of Deco 03 is raised above the surface of the pen. It makes it easier to find and use the buttons without even looking at it. The buttons are re-programmable to any other shortcut with the help of the driver. In practical uses, the pen is very accurate in terms of strokes and pressure variation. It does not have any wobble issues which many other tablets face. The hatching and cross-hatching shading lines come with no bent ends at slower as well as faster pace. Overall, it is a well thought out, beautifully made, very precise pen which gives you total control. 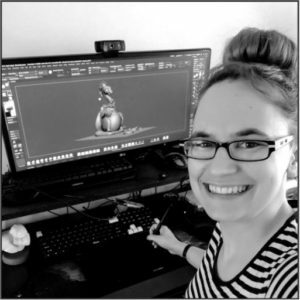 “Kylie Halley also known as Shadowtajun shares her impressions”. I’ve been using the Deco 03 for about 5 months as a daily driver. When searching for a new tablet, I was looking for a cheap, portable device. To take from office to office with a passive pen option. The XP-Pen Deco–03 ticked all the boxes. The thing that caught my eye the most was the red scroll wheel. It is something I use all the time. I love the tactile feel of it’s satisfying ‘click’ for every 15 degrees or so of movement for precision. I also appreciate that you can assign multiple functions for the wheel. The helpful hints at the bottom of the screen tell you what shortcut keys are being used. Despite the 6 express keys being able to take multiple inputs at once. I only really use the scroll wheel and the two buttons on the pen. 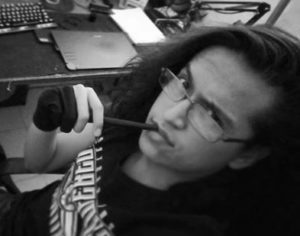 I have found them to be a little too easy to press if you’re not holding the pen a particular way. The USB-C cable means I only need to carry a single cable for my phone and my tablet. With the added bonus of not needed to look at which direction the cable is to plug it in. And when I do forget the cable, having the adapter (for wireless mode) in the bottom of the pen case has been a lifesaver. The thin design has only minor flex giving it a nice solid yet lightweight feel to it. I was pleasantly surprised to find that the thin battery lasts me 3-4 days at a time. And the auto-off feature has definitely helped keep that battery time maximized. With all that said, I have a few gripes with the Deco-03. Understandably, with a cheaper product, you’re going to get what you pay for. Occasionally I’ve had pen jitter when I do slow strokes. This could be exacerbated by my large 25″ (21:9) work screen which doesn’t fit the small 16:9 ratio on the tablet. I’ve fixed this issue by using third-party software for most cases and lazy mouse in Zbrush. There is a Fine Detail Mode available that helps with small details. But unfortunately isn’t customizable so I don’t use it as much as I would like. I had found that the out-of-the-box pen pressure/sensitivity was too much for me. After a while, I got hand cramps and fatigue from using it. This was easy enough to fix though with the easy to use Pen Tablet software (driver) and now I use about ⅔ of the total pressure. Would I recommend this to my friends? I absolutely have. Drawing tablet under this range generally does not come with pen holders. Deco 03 comes with one of the best pen holders. It has a soft touch plastic material on the outside with a padded compartment inside. The back lid of the pen holder has small storage space for keeping all the extra pen Nibs as well as the Wireless Receiver. front lid of the pen holder opens up to reveal the pen, neatly stored in a hollow cylinder. The lid doubles up as a pen stand which holds the pen in an upright position. Deco 03 has multiple shortcut options which include both buttons and rollers. There are a total of six buttons located at the top left corner. All the buttons and dials are close to each other so that you can press them without moving your hand up or down. The buttons are arranged in three groups of twos and have a nice, clicky feel to it. Other than the buttons the tablet comes with the dial. The rolling dial is present at the top left corner of the device. It protrudes out from the corner which is the perfect place to grip it. The red accent color on the dial gives it a unique look. It can perform shortcuts for scroll, zoom, rotate and change the brush size. Being able to change the brush or eraser size is a big advantage and makes your workflow fast. The wheel has a metal construction and sits securely with no rattle or wobble issues. Ball bearings are responsible for its smooth movements. Its rotation is calibrated to perfection, it is neither too tight or too lose and makes a satisfying click on rotating. In a nutshell, it is a very well executed hardware and very practical. As Deco 03 is not a standalone device and needs to connect to a computer. The connection takes place in two ways. 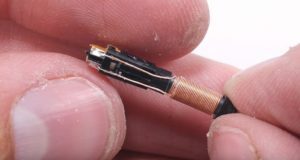 One can connect it through the traditional method using wires. It comes with a USB type-C cable and has a lengthy cord. It allows using your device even when your CPU is a little further from the monitor. The tablet also has a wireless mode. In wireless mode, the tablet uses a wireless receiver. 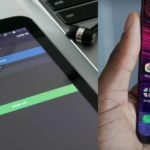 The receiver connects to the USB port of your PC and receives data wirelessly from the tablet. There is no visible difference in speed between the two connection types(wired/wireless). Both of them work perfectly and have no latency issues. I really liked the design of the device, looks classy and minimal. The buttons feel good and the ring dial is just the best feature. Being capable to use it wirelessly its another great feature included. 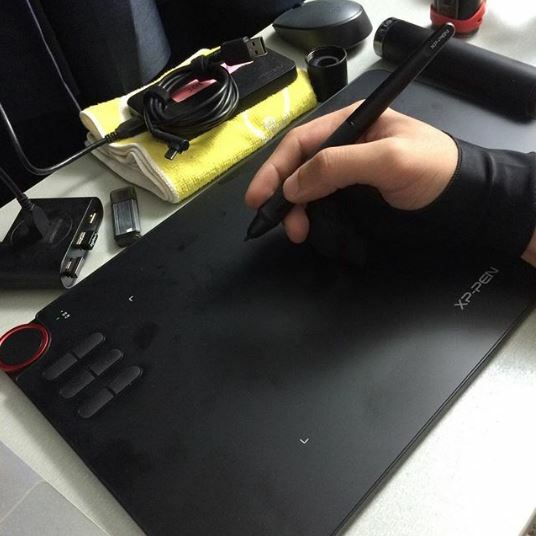 In other tablets like Wacom, you need to spend a bit more to get this kind of feature. The shape of the pen is comfy and does not feel cheap like other tablets. It has this rubber texture along the middle of the pen so you can hold it nice. The USB type-C it just works awesome for me cuz I am left handed and I can plug the cable the way that is comfier for me. In my opinion high levels of pressure sensitivity, wireless connectivity, the 6 buttons and the ring dial are some of its best features. For my use, the battery lasts like 3 days or 2 during full day work. Overall it has been a great device, for me it is a 10/10 and I can happily recommend it to my friends. If you look closely there is a lot of extra space around the drawing area in Xp Pen deco 03 or any other tablet for that matter. In the age of bezel-less devices where everything from smartphones to laptops are trying to get rid of bezels(frame around the screen). Things are different in case of drawing tablets, you need to have some extra space in order to work comfortably. 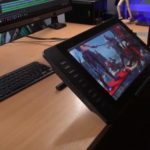 For a drawing tablet to work properly it needs the perfect balance of hardware and software. The Deco 03 is a very capable device both in terms of hardware and software. The devices have no latency in both wired and wireless modes. On regular uses, it shows no wobble or jitter and you get perfect and smooth lines every single time. There is a battery inside which the tablet uses when it is in the Bluetooth mode. Although there is no official number as to how many days it could work on a full charge. In our uses, it lasted a week on casual uses and three to four days on aggressive use. When your battery dies you simply plug it through wires and continue working. The USB cable used for wired connection also charges the device when plugged in so you are always ready for the wireless mode. The power button of the Deco 03 is present at the bottom of the tablet. It comes with a power saving feature. It automatically turns off the tablet when not in use. Like all other tablets, Xp-Pen Deco 03 comes with a driver. 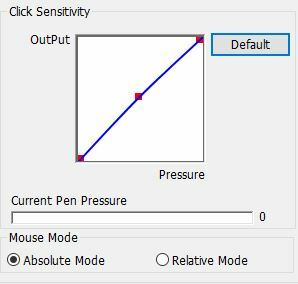 The operating system on the computer cannot understand the pen and pressure data. The driver allows the drawing tablet to properly communicate with the computer. It also allows the user to make additional settings. What do the drivers do? 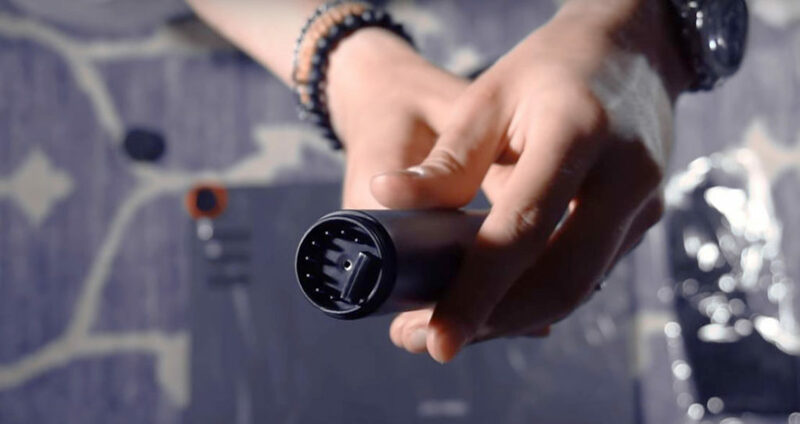 With the help of the driver, you can change the pressure sensitivity of the pen. It also allows you to change the shortcut buttons including the pen to any command of your choice. Using the driver you can change the default shortcut of your buttons. It also allows you to set application-specific shortcuts which change the shortcut of the buttons depending upon the application you are using. Similarly, the buttons on the stylus can also be customized. The Deco 03 driver is a very stable software which does its job silently in the background. Once you install and do necessary settings you don’t need to bother after that. The next time you plug in your device the driver automatically gets activated and handles all the tasks in the background. It also remembers all the necessary settings so you don’t need to customize every-time you plug in your device. The tablet comes with a USB drive, preloaded with the driver but it may not contain the latest updates. So they recommend downloading the latest and updated driver from the Xp Pen website. You can download the driver from the Xp-Pen website. One of the best thing about getting an Xp-Pen device is you get a ton of accessories. Other than the usual stuff like drawing tablet, stylus, extra pentips, pen holder and USB cable you also get a USB drive with the preloaded driver. Other than that you get a Drawing Glove. The glove has a smooth felt material and helps in reducing the friction between your hand and the tablet. Some people like to use it and some don’t. Overall you get everything you need to start working. To put it in simple words, there is no other tablet in the market which gives you these many features for the given amount of money. 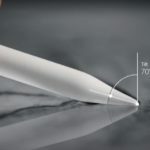 You get a tablet with one of the biggest drawing area, a very capable stylus and advanced features like the roller and wireless connectivity. Although the prices keep changing – you can check the latest price by pressing the button below. Which one do you prefer the most. the deco 02 or the deco 03 or the wacom ctl 672 ?